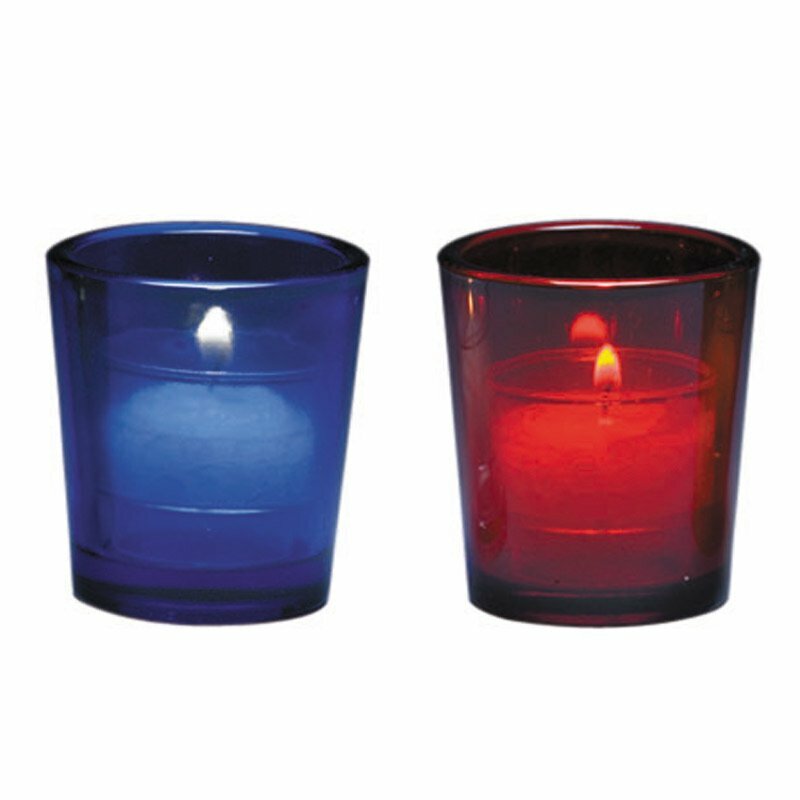 These glass votive holders are perfect for most commonly available votive candles, ranging in size from 2-Hour to 15-Hour. Great for church or chapel devotions. Available in Blue, Ruby, Amber and Green. Please specify color when ordering. Also available in Clear (#VC714). Candles sold separately.